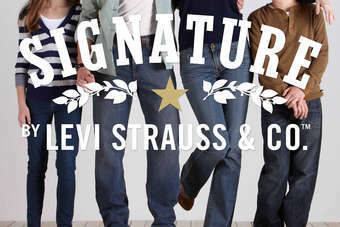 Efforts by Levi Strauss & Co to make its products more socially and environmentally sustainable have been taken to new heights with a smart design initiative said to benefit consumers, apparel workers and the environment. "How you make a garment is just as important as the garment itself," explains Michael Kobori, vice president of social and environmental sustainability at Levi Strauss & Co. Speaking this week at the at the company's new innovation lab in San Francisco, Kobori added: "We believe that we can use our iconic brands to drive positive sustainable change and profitable results. "Progress is in our DNA. We invented a category and with that comes the responsibility to continually innovate for each new generation of consumers." Its new ground-breaking approach is seen for the first time in the Dockers Wellthread premium capsule collection of khakis, jackets and T-shirts for men. The line of just eight pieces combines sustainable design and environmental practices with an emphasis on supporting the well-being of the apparel workers who make the garments. It is the first time the company has brought these key elements together into one process. Taking the view that disposable, fast fashion is the antithesis of sustainability - and that "great, sustainable style starts with durable materials that last" - the Dockers Wellthread design team studied garments from the company's historical archives to see how clothing has held up over time. The team then engineered lasting value into the design process by reinforcing garments' points of stress and making buttonholes stronger and pockets more durable. The designers also worked closely with suppliers to find ways to reduce water and energy use - with the result that the new range uses specialised garment-dyeing to reduce both water and energy consumption, with cold-water pigment dyes for tops and salt-free reactive dyes for pants and jackets. In addition, the apparel is dyed in the factory, not in the mill - which allows for greater inventory agility because the garments are dyed-to-order. The designers also considered responsible use and re-use with the end of the garment's life in mind. Though recycling facilities are not currently widely available, the company anticipates that one day they will be. 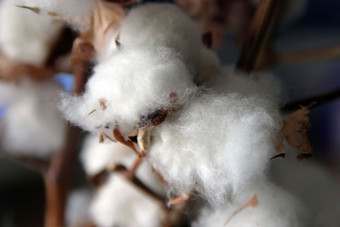 Extremely long staples of cotton can be more easily recycled, so the brand developed a unique, long-staple yarn for its premium Wellthread twill. In addition, every garment in the collection uses 100% cotton, thread and pocketing. The sundries include compressed cotton or metal that can be easily extracted by magnets. Using a drying cycle is tough on fabric and hard on the environment, so the design team also added care instructions to wash in cold and a locker loop on the khakis to encourage line drying. The commitment to sustainability is also extended to suppliers, with the Dockers Wellthread khakis made exclusively at one of a select number of pilot sites chosen for their focus on 'Improving Workers' Well-Being'. The initial vision for the Wellthread process and pilot collection took shape as part of the Aspen Institute's First Movers Fellowship. From there, the idea moved to Levi Strauss & Co's new innovation lab, located next to its San Francisco headquarters, where the concept was brought to life, and where sustainable processes are developed for future product lines. "The Dockers Wellthread process is a remarkable achievement for the apparel industry," said Nancy McGaw, the founder and deputy director of the business and society programme at the Aspen Institute. "The company took a risk on this groundbreaking vision and then supported it all the way through its implementation." Other ways that Levi Strauss & Co has been working to make its products more socially and environmentally sustainable include the Waste<Less jeans line made from an average of eight 12 to 20-oz recycled plastic bottles per pair, and the Water<Less collection that reduces the amount of water used to make a pair of jeans. Last year, the brand made 29m Water<Less units, saving more than 360m litres of water.